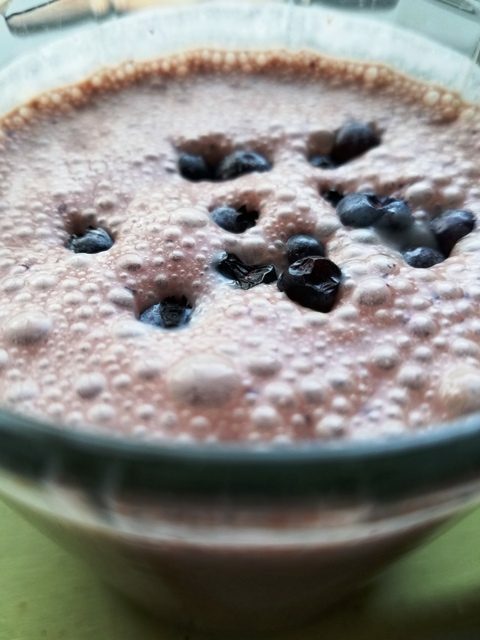 Rich and creamy, Blueberry Chocolate Smoothie. 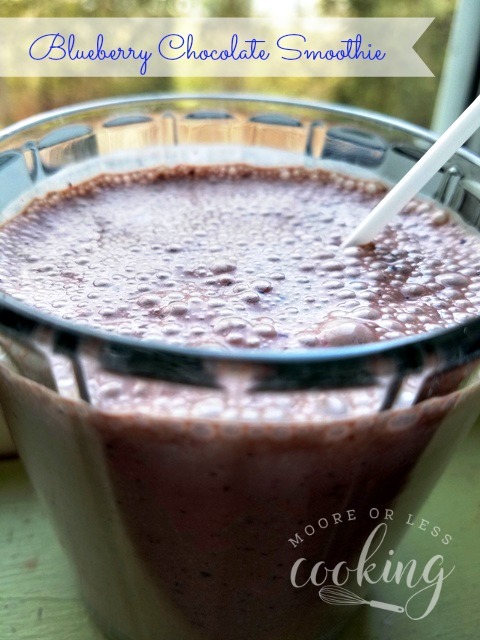 This smoothie only has a couple ingredients but is guaranteed to satisfy those chocolate cravings. I have always had to watch my weight since I was a teenager. Especially when I was working as a model. Models were always so thin back in the 80’s. No plus size models were allowed then. I would always start my day with a fruit smoothie full of nutrients that would keep me full throughout the busy work day. 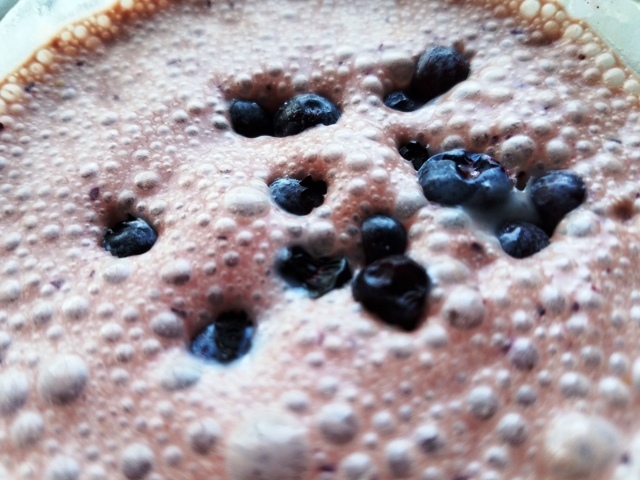 I have tried every combination of smoothies, but my favorite is a smoothie, full of rich and creamy yogurt, blueberries, almond milk and a protein powder. After a smoothie, I am ready to set off to the gym for a great workout. The base of my smoothie is Organic Valley, Grassmilk Vanilla yogurt. The great thing about smoothies is that you only need a couple of ingredients for it to be delicious and not costly. 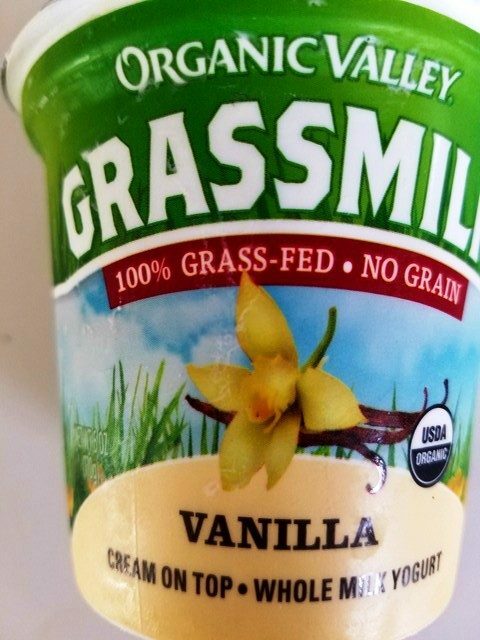 Grassmilk Yogurt is a creamy, luscious and delicious snack made exclusively from their grass-fed grass milk. Because their cows spend their days in organic pastures, Grassmilk Yogurt has naturally occurring omega-3s and active cultures. Organic Valley, cream-on-top Grassmilk Yogurt now comes in convenient 6-ounce cups. With active cultures and naturally occurring omega-3s, it’s easy to enjoy every creamy spoonful. I think the perfect way to start my morning, is with a rich and creamy, full flavored smoothie. 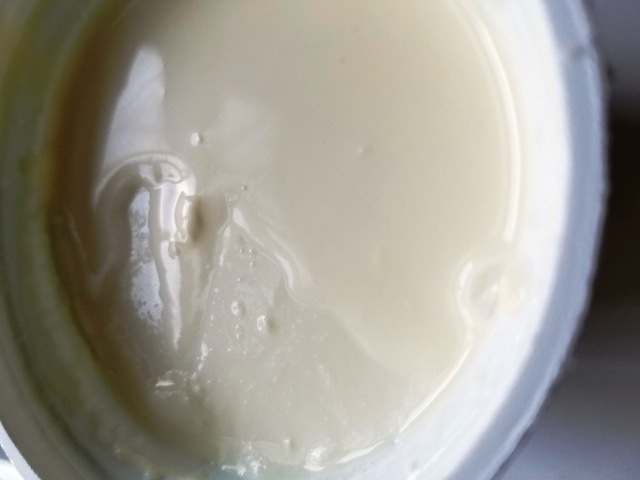 I love the thick layer of cream on top of this Organic Valley, Vanilla yogurt. 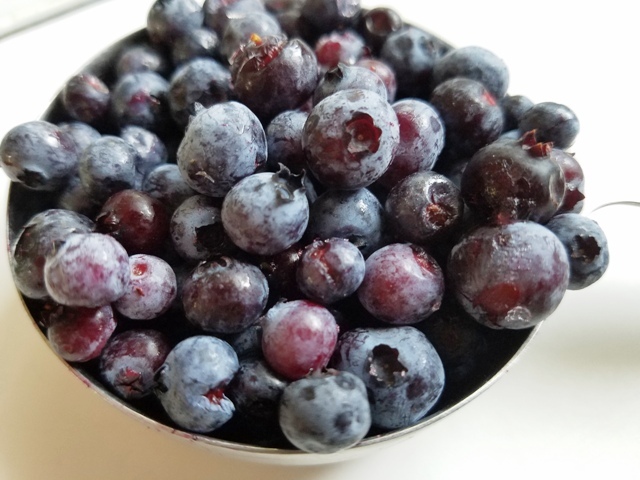 Add fresh or frozen blueberries. I bought a case of blueberries from my friend, Hannah Blueberry. I placed the whole case in the freezer, they set up perfectly. Add Almond Milk, or dairy milk. Add one scoop of protein powder. I like Barlean’s Organic Oils Greens Alkaline & Energize, Chocolate Silk. 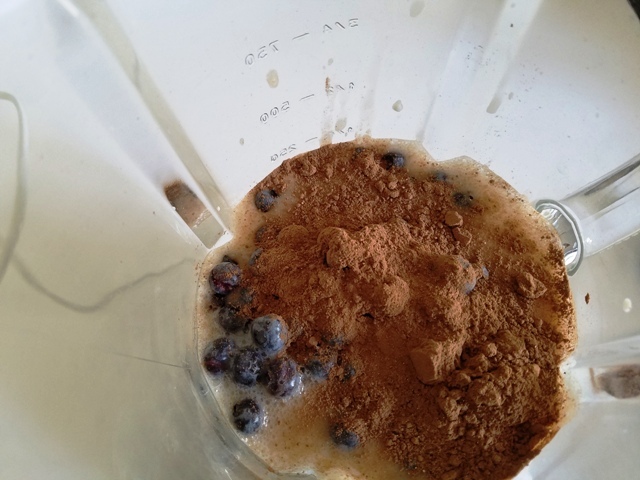 Pour all of the ingredients in a blender and blend until smooth and completely mixed, about 2 minutes. 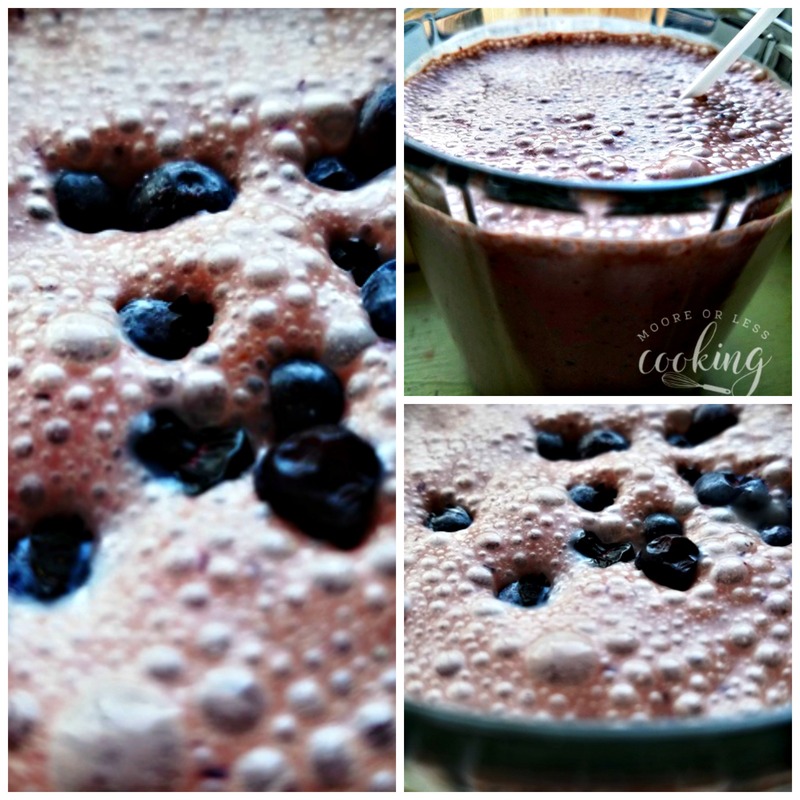 Rich and flavorful, Blueberry Chocolate Smoothie. 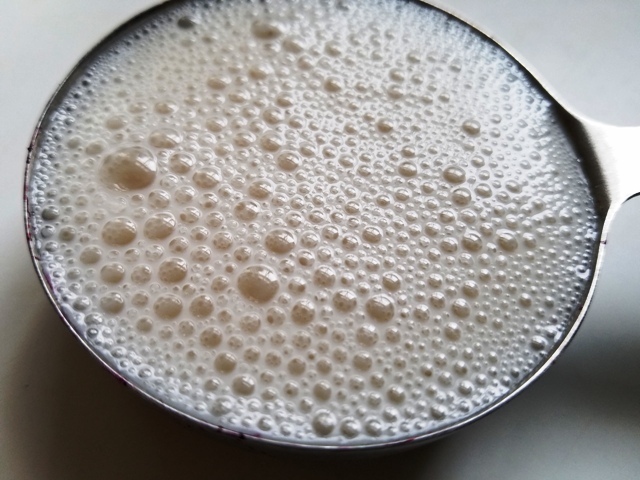 A perfect way to start your morning with this easy, delicious and filling smoothie. 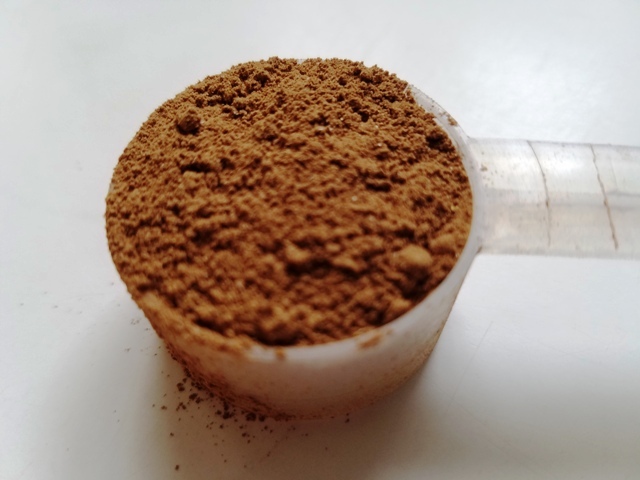 In a blender, combine all of the ingredients on HIGH blend for 2 minutes until all ingredients are mixed up well. Pour into a glass, drink immediately. TWO WINNERS WILL BE CHOSEN TO WIN SAMPLES OF ORGANIC VALLEY YOGURT. LEAVE A COMMENT BELOW TELLING ME WHAT IS YOUR FAVORITE FLAVOR OF YOGURT? Coconut yogurt is my favorite. Cherry and I subscribed to your blog years ago. My favorite yogurt is simple vanilla. My favorite yogurt flavor is peach. I always love strawberry yogurt. My favorite flavor of yogurt is plain yogurt. I follow your blog! My favorite yogurt is flavor vanilla! I’m an email subscriber! I love yogurt. Don’t really have a favorite. I love peach, blueberry, raspberry and vanilla best. I also like adding fresh fruit to plain or vanilla. So yummy. I like vanilla yogurt with fresh berries and granola. BTW, your rules show that the giveaway ends in 2016! My favorite flavour is French vanilla. Those fresh blueberries look so good! I need to start using my blender for smoothies more often. ps – i just stumbled on your blog again for the first time in awhile after I was reading some old posts/comments on my blog. So glad to have found your site again and will definitely be catching up. hope to see you around in good taste again soon! My favorite yogurt is plain Greek or sometimes vanilla. I love plain yogurt with honey. My favorite is plain because it’s so versatile. My favorite is French Vanilla- especially when it’s made from whole milk and has a big thick layer of cream on top. So delicious and so decadent! I Love key lime flavor yogurt! Pina colada is my favorite flavor yogurt.